At the Mercy of Strangers: Growing Up on the Edge of the Holocaust is a thank you to the righteous Christians who helped Suzanne Loebl survive the Holocaust as a hidden child in Belgium during World War II. For Jews trapped in Western Europe during World War II, survival depended largely on where they lived. Belgians did a lot to save its Jews. At the heart of At the Mercy of Strangers is the account of how Suzanne Bamberger, her mother and sister managed to be among those lucky enough to survive in Brussels. 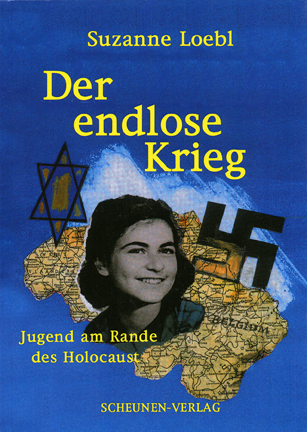 “I never regretted growing up at the edge of the Holocaust. It made me a stronger, more compassionate, human being. And strange as it might sound, the experience provided me with a deep faith in humanity. Though there is much evidence to the contrary, I believe that when you have your back against the wall, somebody out there may come to the rescue. 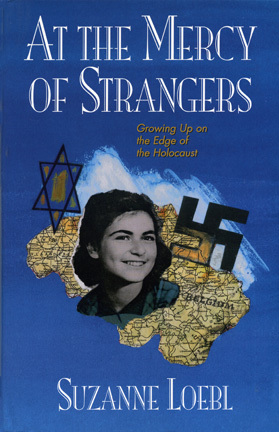 At The Mercy of Strangers is an ideal tool for teaching young adults about the Holocaust and World War II. Lecture: A Personal Story of Holocaust Survival written and delivered by Suzanne Loebl and tailored to specific audiences can be booked. Lectures to schools are provided free of charge.